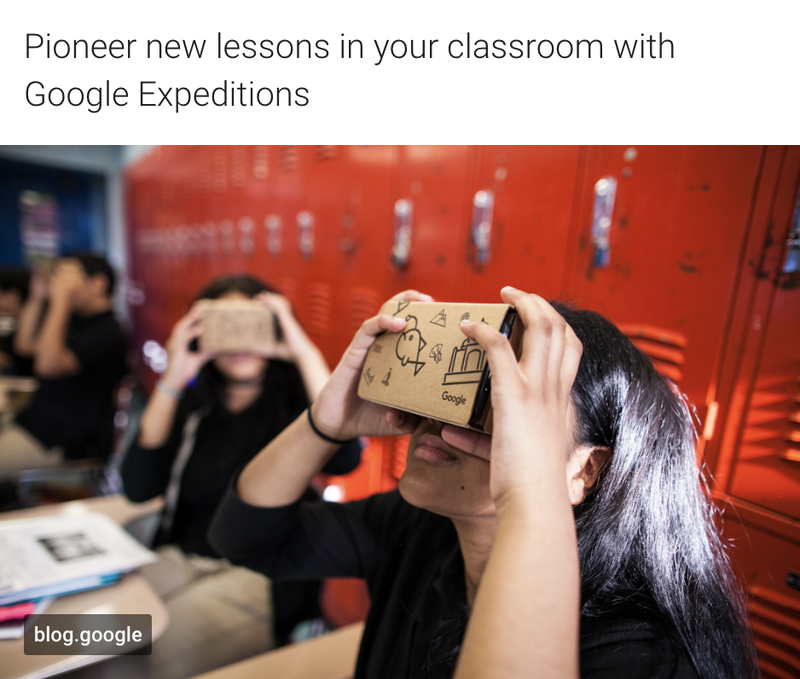 Google has just launched its Expeditions creator BETA program that allows students and teachers to create their own Google Expeditions. "One of the top requests we’ve heard from teachers and students is the ability to create their own Expeditions. Today, we are excited to announce a beta program that allows schools and educators to do just that. Classrooms will be able to create immersive tours of the world around them -- their classrooms, their schools, their communities." 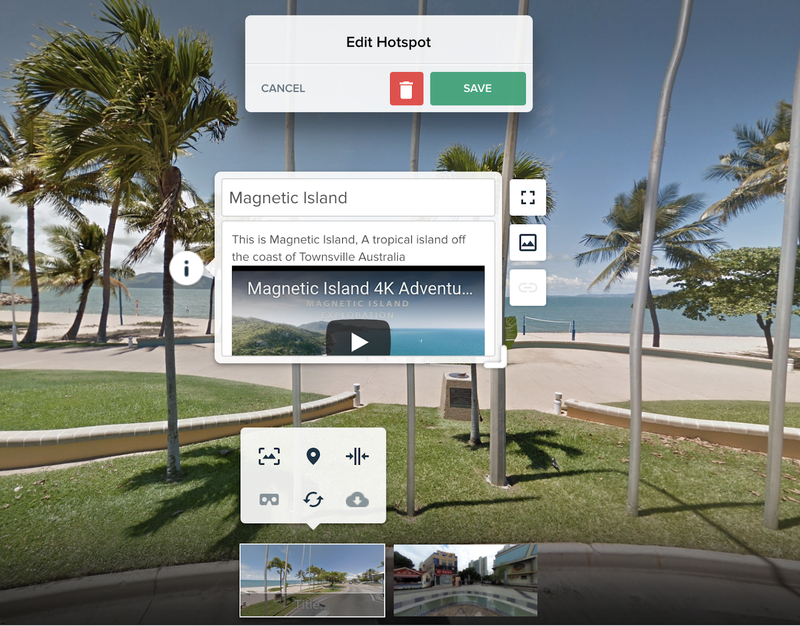 To get 360 degree images / photospheres you can use a 360 camera, the Streeview app on a phone or download Streetview images from the website istreetview.com. See here for detailed instructions. Sometimes when you download Google Streetview images the image is too large, Roundme has a photo limit of 10000 X 5000 pixels. To change the size of the image on my Mac I used ColorSync Utility which allows you to set the pixel size of an image to the exact proportions you want while keeping the scale the same. I am sure there are equivalent programs on Windows or Chrome. 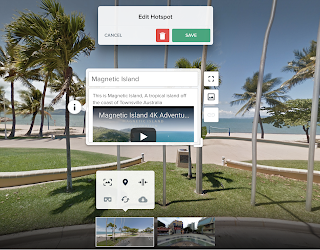 Once the photospheres are uploaded you can then add content to the 360 photos including Youtube videos, images, text and links to other 360 images thus creating a tour. 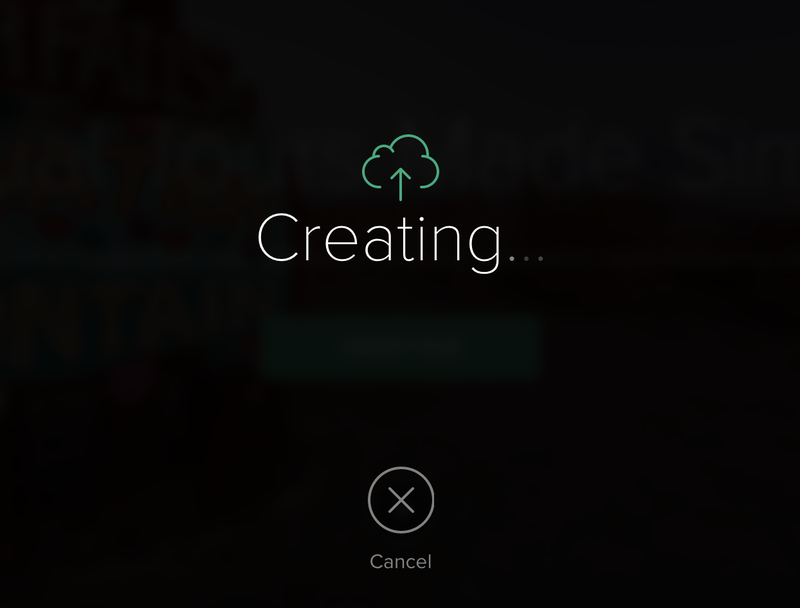 Press a button to publish it and share the link. There you have it, the teacher or even better the students created Google Expedition / VR tour. Here is an example of the roundme that one of our grade 5 teachers created so his class could check out their camp location before they went on camp. 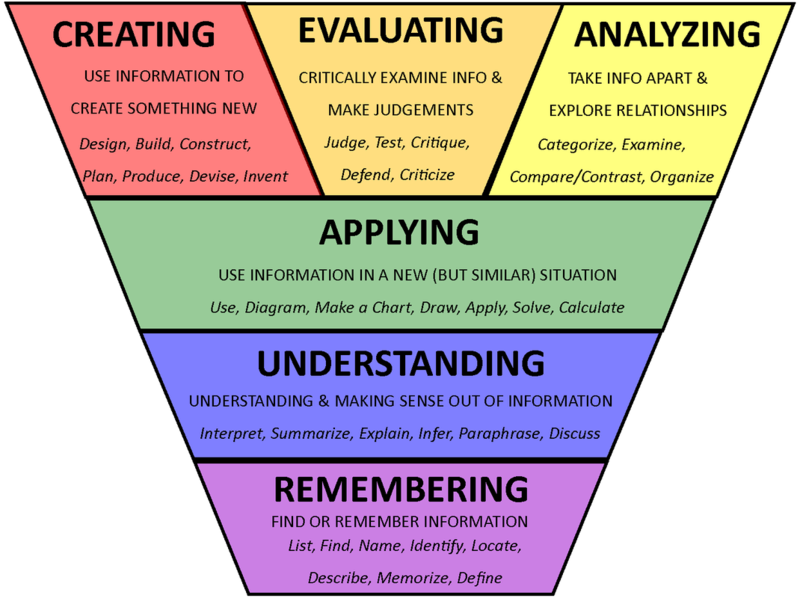 How can I use this in my class? We have been exploring using student created VR tours in the following ways. Art students create a virtual art gallery of their creations, this could include videos, images and a reflection on each piece. Science students can create virtual tours of inside the human body, explaining different parts and their jobs. PE students use a 360 image of a Soccer field and then annotate it to explain who is in position and what each player should do next. Social Studies students create virtual tours of modern buildings, ancient ruins or geographical features with their own embedded explanations including videos. Host Nation students explain the cultural significance of buildings and areas around Kuala Lumpur. English students retell a story or trace a journey using different 360 images to create a tour of literary novels they have been reading. Maths students create a virtual problem wall, a 360 image filled with problems, they then add hotspots with links to the solutions (videos, written or images). 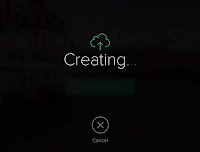 Design students have been creating VR and AR resources for teachers in the school, they had to pick a teachers and ask them what type of resource they wanted and then create it for them. 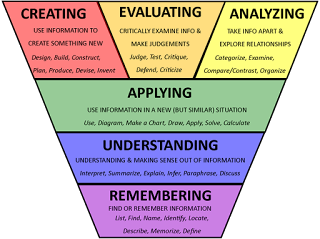 We have only just started this process and I feel like we have only scraped the top of the iceberg, so to speak. Maybe next I will make a VR tour of all the different VR experiences our students have created.